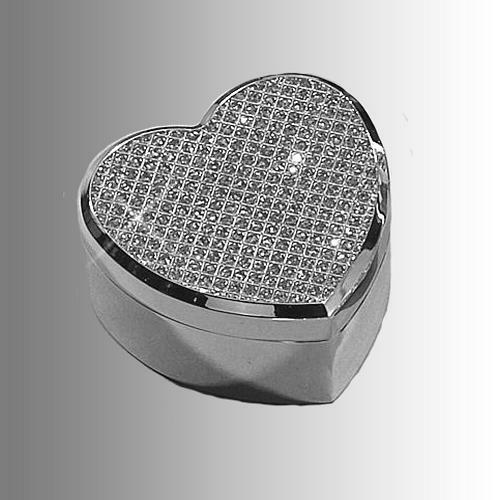 This glitter galore rhinestone covered heart jewelry box is a stunning gift that is sure to catch their eye. The rhinestone heart jewelry box includes an oval plate that can be engraved with two lines of text. 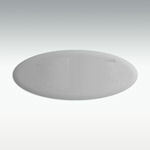 The plate is personalized and fitted to the center of the lid so the engraving stands prominently on the jewelry box. With a variety of shapes and sizes you can be sure to find an engraved jewelry box for that someone special. Inside each personalized jewelry box is a soft felt interior that is sure to keep all of her jewelry safe and clean. All of our jewelry boxes can be engraved with names and dates or a messages of love.